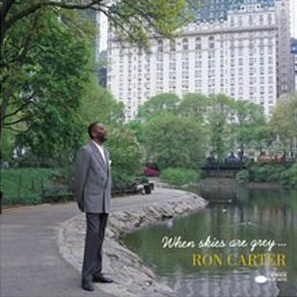 When Skies Are Grey is the newest addition to the series of albums that Carter began in 1961, when he first recorded under his own name. 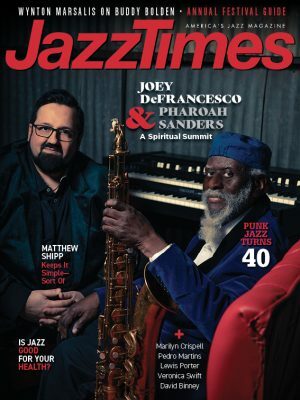 Like its dozens of predecessors, the album has an unmistakable character that arises from elements central to his music: a unique melodic-harmonic language; unhurried musical story-telling to engage the listener; and what Jaki Byard called Carter’s “brilliant time, tone and technique” as a bassist. Byard might have added a fourth: taste. Despite his concentration on developing a career as a soloist, Carter has never seemed interested in substituting decoration or grandstanding for substance. This is not an album in which he lifts the listener by the lapels and dazzles him with technique, but it is, without question, the product of virtuosity. In a time when great bass playing is often equated with something akin to gymnastic skills, Carter continues simply to play the instrument perfectly in all of the dimensions on Byard’s list. As he has since before he became famous as a member of the Miles Davis Quintet of the early 1960s, he finds new ways of applying his mastery of the bass not only in solo but also as one of the great rhythm accompanists. With Davis, his combination of technical excellence, knowledge of chords and rhythmic flexibility made him the connection between the barely controlled exuberance of drummer Tony Williams and pianist Herbie Hancock’s harmonic adventuring. They quickly became one of the great rhythm sections in modern jazz. When Skies Are Grey ‘s subcontext is Latin rhythms, which Carter applies to “Corcovado,” “Besame Mucho,” “Cubano Chant” and four original compositions. Drummer Harvey Mason, percussionist Steve Kroon and pianist Stephen Scott are his collaborators. Scott follows Roland Hanna, Hancock and Kenny Barron in Carter’s recording band and is in every way a worthy successor. For the most part, the pieces cruise along with deceptive ease, each with Carter’s impeccable timekeeping and accompaniments and his solos filled with chromaticisms, modulations, piquant interval leaps, double pedal-point effects and double stops. Not a blazer of harmonic trails, Carter makes resourceful use of chord fundamentals, as in his varied employment of thirds and fifths throughout “Besame Mucho.” His classical training, natural gifts and hard work have given him technical brilliance as a soloist. In his albums over more than three decades, on double bass and piccolo bass, he has pursued that aspect of his playing.